The UK and Canada have always had tight links. Although they are now in different trading blocs (the EU and NAFTA respectively) they share a language, monarch/head of state and of course, before confederation in 1867, Canada was a set of British colonies. As ever in these matters, the mother nation has not always been loved for every action but the countries remain on highly cordial terms and the ties that bind show no sign of loosening. Graham Palmer has seen both sides. A Brit, brought up in the northern English town of Doncaster, Palmer has had a 26-year career at Intel. He spent seven years running the chip giant’s UK business until he migrated to Toronto 14 months ago to be Canada country manager. I spoke to him about the differences either side of the Atlantic in terms of business and technology. Having quite literally “weathered a pretty tough winter” Palmer, speaking these days with just a tinge of the local accent mixed with original Yorkshire lilt, says he is enjoying Canadian life. London increasingly dominates the UK economy whereas Canada appears to be more balanced in terms of where wealth is generated. 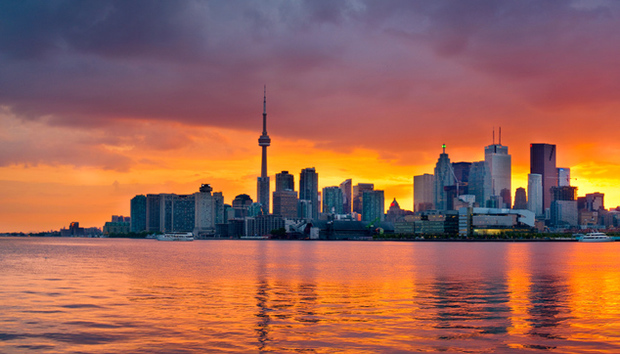 But Palmer sees comparisons between the English capital and Toronto, especially as each depends on financial services for sizeable chunks of their local economies. However, when it comes to selling datacentre tin, there are big differences. There are also macro-economic differences, most notably in the way the two countries handled the banking collapse. The Canadian business culture is participative and open, Palmer feels. Although Canada, the second largest country in the world, dwarves the UK in land mass, it has only about half of its 63 million population. Also, population concentration in key areas means there are not the issues of selling to a highly dispersed population that the outsider (including this correspondent) might imagine as most Canadians live in the south, within driving distance of the US. Part of Palmer’s role is in dealing with the big levers of business and, in terms of dealing with government and public bodies, Palmer says that the Canadian two-tier provincial and federal model makes it probably a little easier to access decision-makers than in the UK. He finds no great differences between UK and Canadian business culture but some significant variance in evolution of some segments. Palmer cites retailers and service provider Canadian Tire as a leader here and notes that Canada has one of the highest rates of broadband penetration so the upside potential is large. Data sovereignty is also a hot topic that is fostering the growth of cloud infrastructure services in the country, he says. And while London has only in recent years made a bid to be seen as a serious tech hub, Palmer is full of praise for the business accelerator Communitech and Canadian tech entrepreneurs, notably those that have sprung up in the Waterloo, Ontario area where BlackBerry, Open Text, Descartes and many others were created. Intel has invested in, and works closely with, local firm Thalmic Labs, a wearable computing pioneer that markets an armband for gesture control. He believes Canada’s “strong fundamentals” make it a good prospect for growth. But he also notes that it’s a fine place to live with an extraordinary outdoors life.